From the author of the acclaimed Jinx trilogy comes a spellbinding fantasy, perfect for fans of the School for Good and Evil series, about a young heroine fighting to save a world that would dare to tame her. 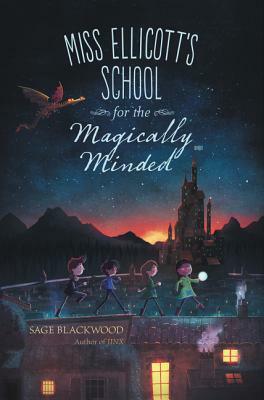 Sage Blackwood was born in Chicago and grew up in New York State. She graduated from Antioch College and the University at Albany and taught ESL for many years. Her first fantasy novel, Jinx, was selected as a Best Book of the Year by Kirkus Reviews, ALA Booklist, School Library Journal, and Amazon.com, and was purchased by President Obama. Praise for JINX: “Readers will thrill to journey with Jinx.